Graffiti might be considered as an act of vandalism, but in Play’n GO’s graffiti-themed slot, it’s simply a work of art! An unknown graffiti artist, armed with a can spray in hand and some serious talent, is filling the streets with amazing graffiti in Cash Vandal. 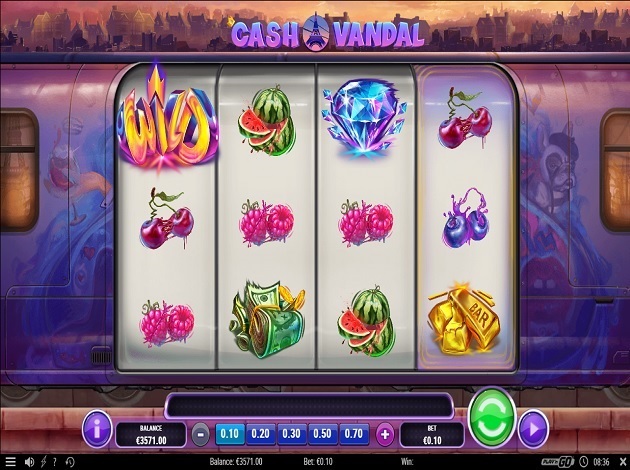 In Cash Vandal, you’ll get to travel to famous cities like Paris, London, and Berlin where you’ll be doing much more than sightseeing; synchronised reels, random wilds, and mystery symbols are some of the features included in the virtual trip. Play’n GO’s Cash Vandal is played with four reels and three rows, with 10 fixed paylines. It’s also a high volatility slot. Cash Vandal can be played with bets starting from only € 0.1 per spin! The most important symbols are the golden spray can scatter, the red spray can scatter, and the wild symbols which substitutes all symbols except scatters. Other symbols include diamonds, golden bars, wads of cash, as well as a mixture of five shiny-looking fruits. One golden spray landing on the fourth reel as well as two red spray cans landing anywhere on the reels will trigger five free spins. A golden can and three red cans will then earn you 10 free spins. During the free spins, the city feature is activated on every spin and you get to choose your free spins destination as well! Each destination brings with it a different reel modifier, so choose carefully! Paris – In Paris, you’ll find reels one and two synchronised and displaying 2x2 mega symbols. London – London is the city of mystery symbols. You’ll get up to nine mystery symbols painted on the first three reels. Berlin – Berlin is a city full of random wilds! Two or three random wilds will be randomly painted on the first three reels. A golden can landing on its own on the fourth reel will trigger a re-spin. The first three reels will spin whilst the fourth reel is held in place. As usual with most Play’n GO online slots, the paytable changes according to your bet, so you will know exactly how much each symbol is worth according to your bet. You can even simply click on each symbol on the reels to see what it does or its payouts. The wild symbol is the highest paying one in Cash Vandal and pays a big prize of 50x your bet for four matching symbols on a line. The scatter symbol pays for three or four matching symbols, earning you 3x and 4x your bet respectively. As for the high paying symbols, these pay for two, three, or four symbols on a line. The diamond is the highest paying one, worth between 1x and 10x your stake. The gold bars pay between 0.5x and 4x your stake, whilst the wad of cash pays between 0.5x and 2.5x your stake. 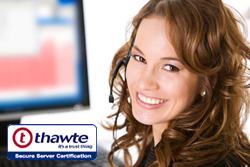 The lower value symbols pay for a combination of three or four matching symbols on a line. The orange and the watermelon symbols each pay 0.75x and 1.8x your stake, whilst the cherries, blueberries, and raspberries each pay between 0.3x and 1.5x your stake. Cash Vandal is a feast for the eyes for graffiti lovers: the symbols are designed in a very peculiar style which is a mix of realistic with graffiti style, and behind the reels, the graffiti on the train are incredibly detailed and artistically impressive. The graffiti also change according to which city you’re in. The music is Cash Vandal is relaxing yet upbeat as well, giving the slot a good atmosphere that makes it all the more fun to play. Matching the purple and blue colour scheme that’s popular with Play’n GO is the game panel found on the bricks on the subway. From these buttons, you can select your bet amount, view the paytable, and access the Autoplay and Quick Spin buttons as well. Cash Vandal has that typical Play’n GO feeling with very vibrant colours, great artwork, and unique features as well. However, it still stands out from the rest of their portfolio as a creative game unlike any other. It’s simple, fun, and definitely rewarding, especially with that special can which is able to trigger a lot of different bonus features! Hop on the subway and join the vandal to win some artsy prizes, right here at Videoslots. Play’n GO is a gaming specialist and the leading mobile casino gaming developer, headquartered in Vaxjo, Sweden since 2005. They had been operating as a subsidiary of other software companies since 1997, until they became an independent company 8 years later. Since then, Play’n GO has built up a game library of over 100 unique games available in over 30 languages. A lot of these games are also available to play on mobile platforms, so players can enjoy their favourite Play’n GO games whenever and wherever they are. All their games are designed to perform perfectly on smartphones, tablets, terminals, and operator websites. Play’n GO believes that the key to perfect products lies in a combination of extensive experience with the latest technology, that’s why their products are modern, flexible, and loved by players worldwide. They’re proud of their products and believe that they make the most detailed, enjoyable and innovative slots on the market. You’ll find everything you like in their collection, from cute cartoon games, majestic slots like Legacy of Egypt and Rise of Olympus, and horror themed games like House of Doom, along with many, many more themes. If you like any specific theme or style, you’re probably going to find it in Play’n GO’s impressive collection. Check out games by Play'n GO like Book of Dead, Grim Muerto and Viking Runecraft here at Videoslots.com.